Change.... One Thing You Can ALWAYS Count On With NASCAR! Greetings race fans! Welcome to the 2019 NASCAR season. 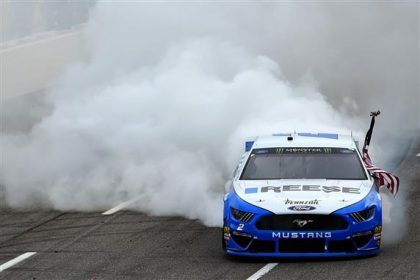 One thing you can be sure of is that there have been a lot of changes since the end of 2018 in all three NASCAR series. Well, all four, if you count ARCA. For me, the racing season starts with the Rolex 24 Hours at Daytona January 26-27. Then the ARCA series returns to Daytona Feb. 9. Venturini Motorsports is the defending champion with Michael Self. Venturini is returning with Self and three female drivers including 2018 pole sitter Natalie Decker, Leilani Munter (who has been the fastest car in early testing) and Toni Breidinger. Decker and Munter finished in the top 10 at Daytona. 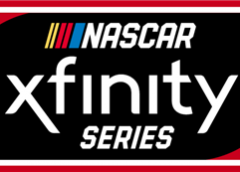 The Xfinity series saw Ganassi and Roush pull out of the series due to sponsor issues. And there are several driver changes for the new season. The truck series is now the Gander Outdoors Truck series and saw a few teams pull out. 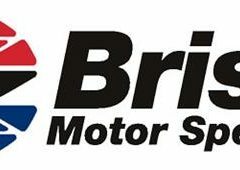 2016 champion Johnny Sauter lost his ride at GMS and 2018 champ Brett Moffitt is out of a ride due to sponsor woes. Natalie Decker will be racing in 2019 in select truck races, thus elevating her presence. What else is new? Plenty. There has been a lot of movement of drivers and crew chiefs in the truck, Xfinity and Cup series. In some unfinished business in my last post, Daniel Suarez wound up with a ride at Stewart-Hass Racing, replacing Kurt Busch in the 41 car. The Ford camp is moving to the new Mustang for 2019. We’ll see how dominant Ford can be compared to what they did in 2018. We all saw how Chevrolet struggled with the new Camaro, which is also getting a few body tweaks. It will be interesting to see if Chevy has improved and if Ford can avoid the first year car model problems Chevy had. Toyota returns with the Camry but with the brand new Supra hitting showrooms in 2019, I expect a change for Toyota may be in the offing as well. If Chevy and Ford falter, it could be a banner year for Toyota on track. There are two baseline packages for 2019 tailored to specific tracks and a smaller tapered spacer reducing horsepower to around 550 hp on 16 tracks over 1.2 miles. The Daytona 500 will be the only plate race. That also means we will have 17 races with the full 750 hp engines. NASCAR is also hoping to have the engines used a little more thus helping to keep costs down. The rear spoiler and front splitter will dramatically increase in size in an effort to create more downforce and drag. New front airducts will be used on tracks over 1.5 miles except the 500, Atlanta, Darlington, Pocono and Homestead. What does all this mean? No one really knows. 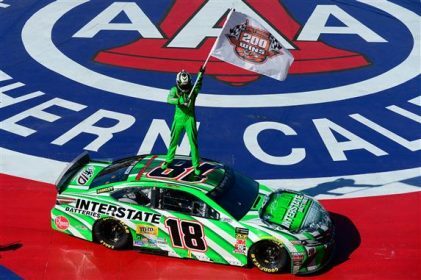 NASCAR is hoping for more side by side racing thus creating more fan interest. On the other hand, 16 races will have cars going slower making the races potentially longer. NASCAR already has issues keeping the average fans attention, so this could be a step in the wrong direction. NASCAR had made a move away from downforce and are now adding it back in. This supposedly makes the cars easier to drive and thus could give some of the smaller, underfunded teams a better chance to win. Is that good? Would fans rather see Michael McDowell win than Kyle Larson? NASCAR fans have always loved the underdog. Heck, the entire sports world loves the underdog. But what happens when it is race 26 and McDowell is guaranteed a spot while Denny Hamlin misses the playoffs because he didn’t get a win? Will fans be happy then? 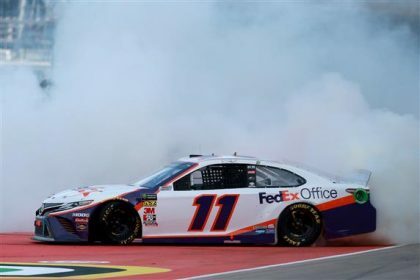 NASCAR claims that “the best drivers and the best teams are still going to win the race.” Well Steve O, that remains to be seen. For sure, these rule changes are not a magic bullet that will suddenly make a 25th place team a 5th place team. Hendrick, SHR, Gibbs and Penske will still win the majority of races. They have the most talented drivers and organizations built to win. The changes may allow teams like RCR, Ganassi, Roush Fenway and a couple others to be more competitive and win a few races. Teams with money are still going to spend a lot of money on winning. They will always be able to outspend the smaller teams. Lastly, a couple of sad notes. JD Gibbs has passed away this week and the entire NASCAR family mourns his loss. Also announced this week were layoffs at NASCAR. About 50 people, 5% of the employees, were handed pink slips. Here’s wishing them all well. Thanks for reading and I look forward to 2019! Well, race fans, color me embarrassed. In my reading about Munter at Venturini, I some how got the post for the 2018 Daytona 500 and the female team members. Sadly, I did not read the date on the initial post — 2018. I somehow read that as returning all the same members for 2019. Decker will actually be with DGR – Crosley. Her schedule at this time looks like this: She will be running 3-4 ARCA races, 12 Truck races, a K&N and 5 Trans-Am races with Tony Ave Motorsports. Munter is still racing with Venturini as I posted. The Venturini lineup for ARCA looks like this: Munter, Harrison Burton, Christian Eckes and Chandler Smith. Sorry for the mistake. I have to read my source dates more carefully.